Hey, ladies! On the hunt for a towel that is as chic and effervescent as you are? 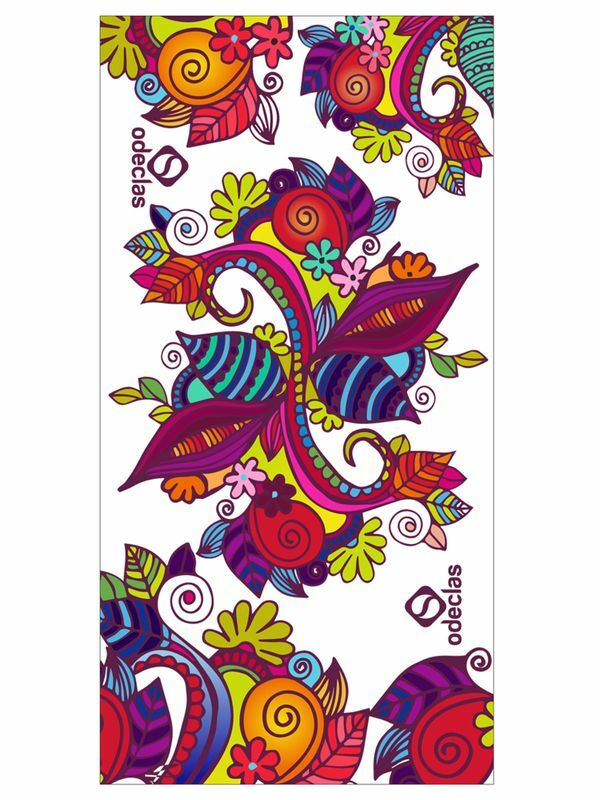 You are going to fall head over swim fins in love with the Odeclas Yarel Swim Towel! This beautiful magnolia white towel features a fab doodled-on flower garden in rich shades of violet, magenta, marigold, rose with tropical leaves in hues of mint, shamrock, olive, cherry red, and cobalt. Featuring bold burgundy Odeclas logos on either side, this towel is a real one of a kind. And, like everything that Odeclas makes, this trendy towel was made to meet the needs of serious swimmers!